K. So, here's the thing. I love the idea of a December Daily album as much as anyone. I really do. The thing is...well, to be frank, my life isn't all that hectic around the holidays. I don't actually have something going on every single day in December. And I like it that way! HA! So, to create an entire album to include each and every day, well, that has never seemed like something that would work for me. BUT...and this is a big BUT! (Kinda like another one I know. Just say'n.) BUT....I wanna play, tooooooooo!!!!!!!! So, when Echo Park and May Arts came together for this week full of awesome stuff, I had an idea! It is bound with my Bind-It-All and decorated with RIBBON!!!!! Lots and Lots of May Arts goodness, that is! What's that you say? It appears I didn't use Echo Park's CHRISTMAS lines? Dunn...dun...dunnnn... TRAGEDY!!!!!! HA! I didn't. I used Country Drive. Deal with it. HA! 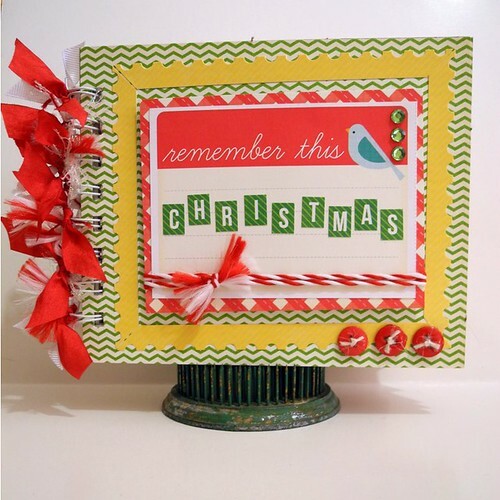 No, seriously, I loved the colors in this collection for Christmas, so I used it! YAY! The full tutorial for my little album will be up sometime today on the May Arts blog, so you simply MUST check it out! And remember...just because you aren't like everyone else doesn't mean you can't jump on the same train! Tee-hee! And now I'm on the December-Not-So-Daily train! YAY! That makes me think of candy canes & want some RIGHT NOW! So pretty & happy & USEFUL! 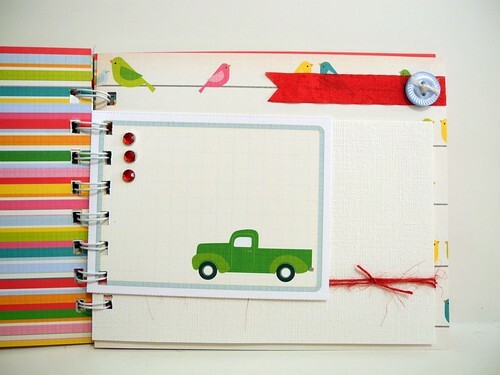 I WILL make one because I have some lil' albums I bought about a hundred years ago off the dollar aisles in Target. Those will be PERFECT to decorate & record Christmas days! And count me in on the not so every single day events in December. I'm WAY too old & decrepit for 31 days of frantic activities! But I DO love Christmas, so MAYBE I'll try for - say - 18. Yeah. Thanks for 'Jingling' this tired old Comanche into create-mode! Just what I needed! (Well, THAT and a couple of cappuccinos from Barnes & Noble in a bit!) HUGS! 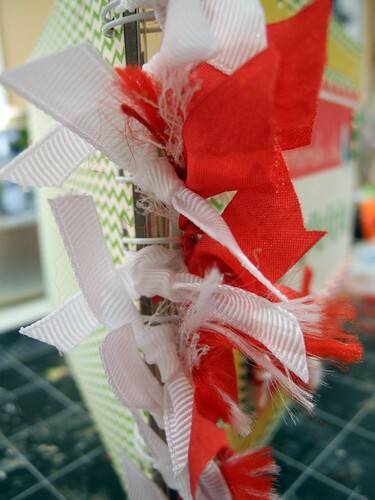 love your album and the ribbon on the binding...your little houses are adorable! love it! the colors are just perfect and such a great idea, no reason to be left out, just adapt to suit! love using non christmas papers for christmas projects, I did just that on my paper bag album yesterday, they work great! I LOVE it! I think it is perfect for a holiday album, love the colors! And perfect for me, too, a retired grammy who doesn't do fancy or interesting stuff EVERY day, but would like to capture holiday prep in an album. So I am definitely going to lift your great idea!!! Thanks for sharing! Love that this is doable....I'm not so confident in my ability to do a daily either, and I would be ticked off if I put all that work into the actual album and never filled it in....kind of like what my mom did with my baby book.... Anyway, this is really cute and I love how cheery the papers you chose are! I tried doing a December Daily three years ago and it ended up just being a Christmas mini album. Which I was totally ok with! Love that you are making it work for you! Awesome album, loving all that ribbon!!! 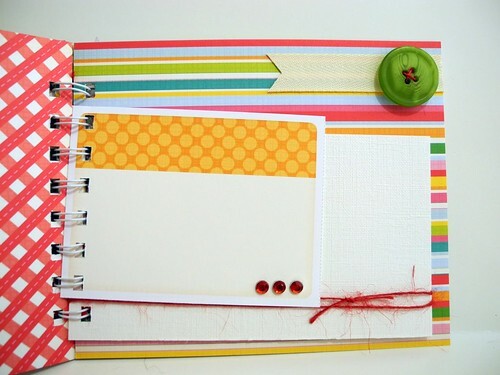 Great project - the colors make me smile :) Love all that ribbon as a binder!! Really a festive little album! Love it! 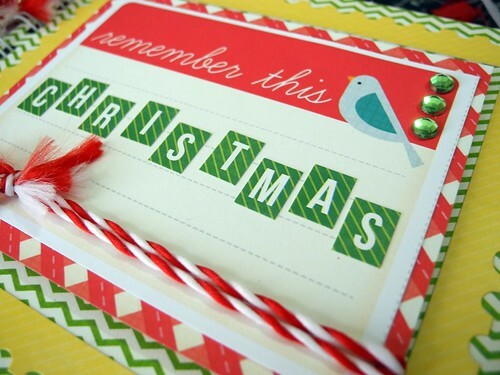 I love the "Remember this Christmas" part! What a clever concept, and it turned out sooo good! Love the album....fun to see Country Drive used for Christmas! Love the idea of a Christmas album-if I did it as it happened, it might happen....LOl I mostly make stuff then do not finish it...LOL Great project! super awesome...I love it! so fun and happy!